It has been a decade since a robotic traveler from Earth first soared over rings of ice and fired its engine to fall forever into the embrace of Saturn. 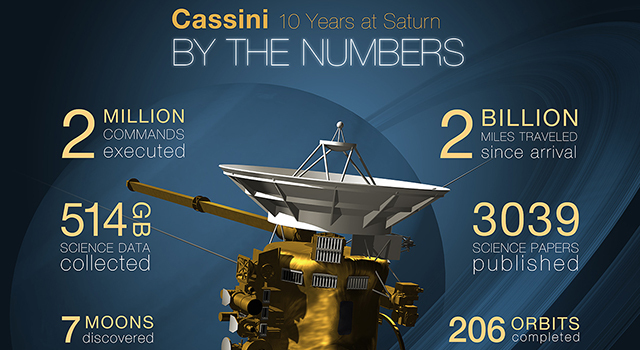 On June 30, the Cassini mission will celebrate 10 years of exploring the planet, its rings and moons. 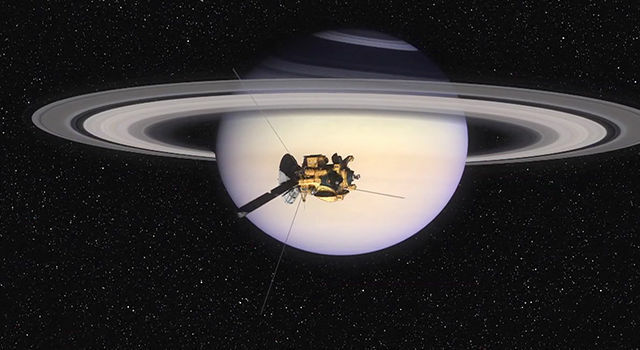 The Cassini spacecraft, carrying the European Space Agency's Huygens probe, arrived in the Saturn system on June 30, 2004, for a four-year primary mission. Since 2008, NASA has granted the mission three extensions, allowing scientists an unprecedented opportunity to observe seasonal changes as the planet and its retinue completed one-third of their nearly 30-year-long trek around the sun. 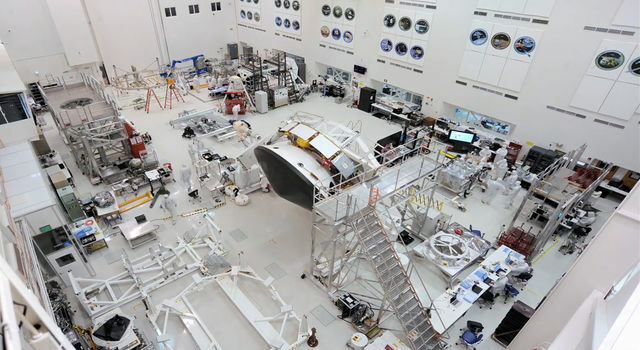 "Having a healthy, long-lived spacecraft at Saturn has afforded us a precious opportunity," said Linda Spilker, Cassini project scientist at NASA's Jet Propulsion Laboratory in Pasadena, California. 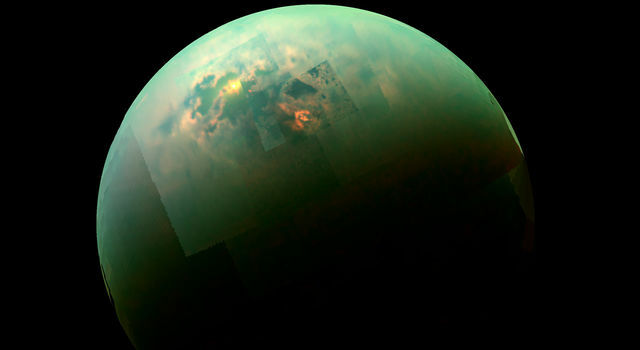 "By having a decade there with Cassini, we have been privileged to witness never-before-seen events that are changing our understanding of how planetary systems form and what conditions might lead to habitats for life." "It's incredibly difficult to sum up 10 extraordinary years of discovery in a short list, but it's an interesting exercise to think about what the mission will be best remembered for many years in the future," Spilker said. While Cassini was originally approved for a four-year study of the Saturn system, the project's engineers and scientists had high hopes that the mission might carry on longer, and designed the system for endurance. The spacecraft has been remarkably trouble-free, and from an engineering standpoint, the main limiting factor for Cassini's lifetime now is how much propellant is left in its tanks. The mission owes a great deal of its longevity to skillful and efficient piloting by the mission's navigation and operations teams. 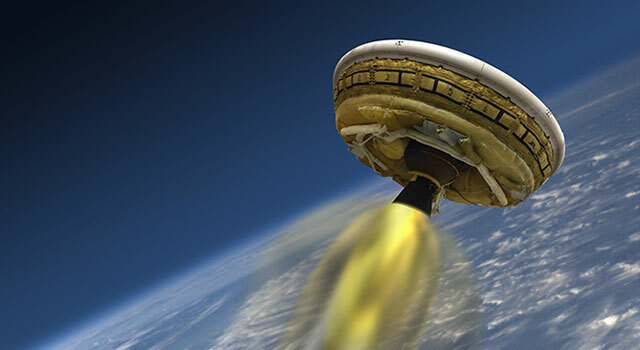 "Our team has done a fantastic job optimizing trajectories to save propellant, and we've learned to operate the spacecraft to get the most out of it that we possibly can," said Earl Maize, Cassini project manager at JPL. 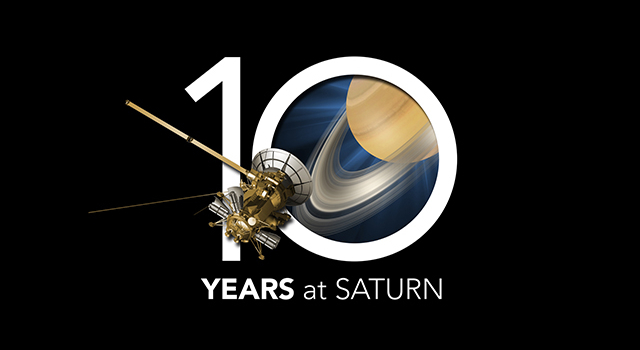 "We're proud to celebrate a decade of exploring Saturn, and we look forward to many discoveries still to come."